More than often, I buy shoes on Jumia for my family and me. I thought it would be nice if I shared my shopping tips with you. Shoes are among the most difficult items to shop online because you have to worry about size and quality. Remember, as they say, not all that glitters is gold. Sometimes you do not get what you see. Thankfully, you have help at hand. In this guide, I am going to help by giving you tips that you may want to try out if are shopping for shoes on Jumia. You finally decided that you want to buy some shoes on Jumia. That good enough, and it is not unique to you. Everybody else is getting his or her shoes on Jumia. So why not you? Hold your horses, not that fast. I initially wrote a blog post on how Jumia works. If you have read it, you definitely understand why you need to take your time. There are several ways to find out which shoes you want to buy. One, you may have seen them with a friend or even you neighbor. On the other hand, you may have seen them in a shoe store in town and while browsing on Jumia you discovered that, they were much cheaper. Whichever the method, you may have to ask you self this questions before buying. Is the quality good, and is it really what am looking for? What is the vendor review? Is his/her rating good? What are the reviews of other buyers for the same product? What is the price? Is there any other vendor offering a better deal? If you ask yourself these questions, you are likely to be more diligent. You will take some time to research before buying any shoes on Jumia. Money is hard to come by; you do not want to throw it down the drain. It would be prudent to have a prototype to compare your shoes with. We live in a world where there are copies of everything. Fake products are sold as genuine products. Even though Jumia have strict policies about vendors selling their products on their platform, you do not want to waste time and get disappointed. Jumia allows buyers to return products if they are not what they ordered for. But you do not want to waste your time doing this. Vendors with high rating are likely to sell you original shoes. If you read the reviews of previous buyers and find that there are complains, then you would better keep off such a vendor. Go for vendors with good ratings. One more thing, several vendors could be selling the same shoes for different prices. Naturally, you will want to go for the cheapest, as long as quality has not been compromised. One of the most difficult thing to do when buying shoes on Jumia is finding the size of shoes that will fit you. Moreover, as you know, our feet come with in different shapes and sizes. Some of us have broad feet, while others have standard feet. I have seen some of my friends with very narrow feet. Take a plain paper and a pen or pencil. You will also need a tape measure or a 30cm ruler. With your bare feet, trace out your feet on the piece of paper. 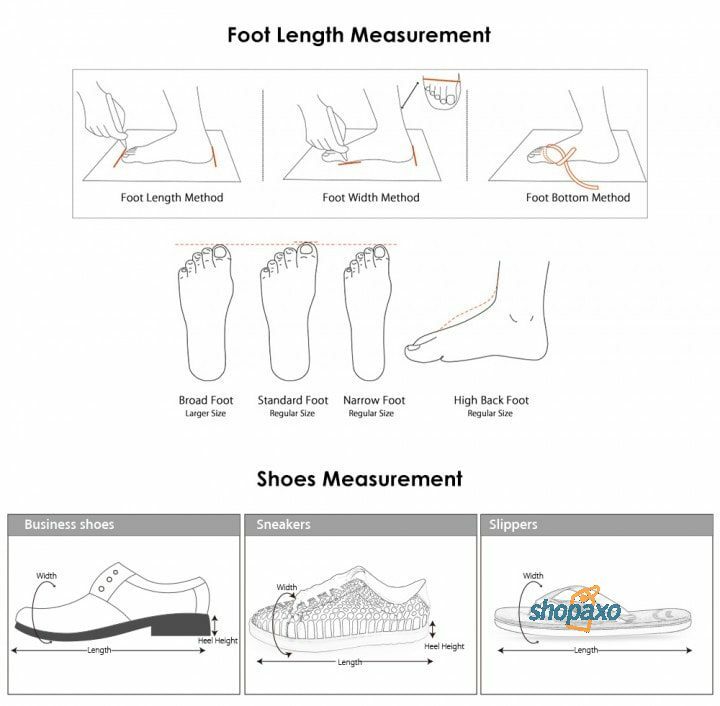 Using a ruler measure out the length and width of your feet. Compare this with a standard size conversion chart. The diagram below helps you go through steps 1 through 3. Once you have done this, compare that with the conversion chart below. You will notice that different regions have their own shoe size. Take note of that before ordering shoes on Jumia. Have a look below. Once you have zeroed in on a particular size, you can now order your shoes from Jumia. Find out the size of your shoes. Be sure about the quality of the shoes. Order from a trusted vendor. Once you already know these, you can now get that pair of shoes you been waiting to have from Jumia. Next articleJumia Kenya ultimate black Friday; 3 products to look for.